Add a welcoming glow to your home with the Lifeguard Chair with Life Preserver Table Lamp. 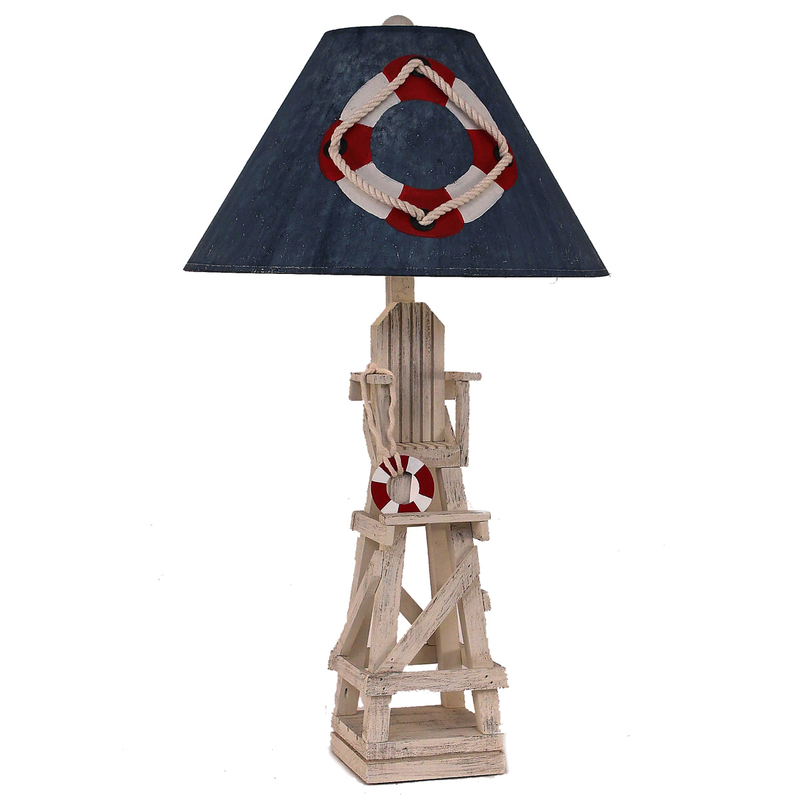 These beach table lamps are designed with a fun lifeguard chair base with life preserver accent and painted life preserver with laced rope on the shade for a beach feel. Ships from the manufacturer. Allow 2 to 3 weeks. Cannot express ship. For additional items, we encourage you to take some time to browse our entire selection of beach table lamps at Bella Coastal Decor today.